Coach bookings for the 2019 Christmas Market will be available soon, we expect them to be open in April/May time. In the meantime, if you would like adding to our mailing list for the 2019 event please email christmasmarket@lincoln.gov.uk. We will then email you as soon as bookings open. 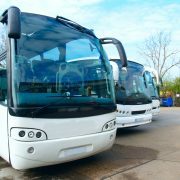 Read our FAQs which answers a range of common questions from coach operators and drivers.